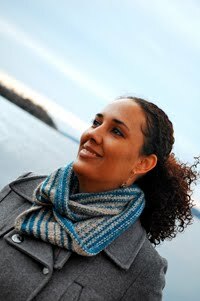 Cambria Washington: knitwear & patterns: An Interview with Ann Budd!! I have no idea where to start this post, but I've been thinking about it for a good week. It all started on Monday when I finished Alex's mittens, and he said (and I quote) "they blew my mind!" It's about the best complement that a knitter can receive. As I said in the last post, I used the Basic Mitten pattern from Ann Budd's Knitter's Handy Book of Patterns. I was introduced to Ann Budd's Handy Book of Patterns when I accidentally stumbled into a yarn shop for the first time. The ladies there were a little gruff, but they were good people and they knew their stuff. I bought a few inspirational books with pretty pictures, but one day the owner put your book in my hands and told me that I "needed this book". She convinced me that lack of brightly colored photos weren't an issue and that I would have everything I needed to become a good knitter at my fingertips if I bought the book. It was more money than I'd ever spent on a knitting book at that time...and it was totally worth every single penny. The tips included in the book raised my skill set considerably and suddenly I was turning out finished objects that I could be proud of. Over the years I've purchased other books by Ann, and all have been well worth the considerably reasonable cost. My first custom sweater was heavily inspired by a sweater in her Handy Book of Sweater Patterns. When customers ask about yardage, I pull out Ann's Knitter's Handy Guide to Yarn Requirements. At last count, I believe I own eight different books either written or edited by her. And the format of the Handy Book's helped me to figure out the best way to format the tall sizes in my first sweater design. Now, as an employee of a yarn shop, I return the favor and put The Handy Book of Patterns into the hands of all new knitters. We can't keep it in stock :) And I'll admit that I'm eagerly awaiting the release of the Knitter's Handy Book of Top Down Sweaters, which is available for pre-order through Ann's website. My mother knitted but I never felt the urge to learn. But in 1968, my father had a sabbatical and we lived in Switzerland for a year and I attended the elementary school in our village. At the time, girls and boys were taught gender-specific skills one half-day a week: girls learned needle arts and housekeeping; boys learned basic carpentry, etc. The girls in my class were horrified that I didn’t know how to knit—they had all knitted lacey cabled knee socks in the fourth grade. I didn’t speak much German so I was delighted to have a class that involved just manipulating my hands without trying to understand words. My first project was a pair of baby booties that would have fit my father. My second project was a sock that turned into a hobbyhorse, which I used as a model for the Hobby Horse in Interweave Presents Knitted Gifts. I continued to knit (mostly secretly because it wasn’t “cool”) through high school and college, and finally ended up working for Interweave Press, where I was able to make a job out of my hobby. Throwing my needles and giving up wasn’t an option when I was learning in Switzerland. When everything fell out of my hands, the teacher would put things back and make me keep going. The worst part was the way everyone snickered at me. 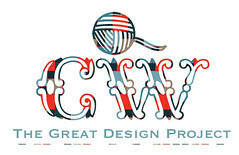 I started designing when I worked for Interweave Knits magazine. We all participated in the “staff project” for each issue. The budget was tight and I was often called on to knit a specific project. I sewed most of my clothes through high school, but I never deviated from the patterns and have never felt comfortable with the “designer” label. I consider myself more of an engineer than designer. Most of my designs came about while I was on staff at Interweave and the result of specific requests by the editor. When I need inspiration now, I usually turn to stitch pattern dictionaries—even though I’ve looked at every page dozens of times, something catches my eye that I hadn’t considered before—or I browse what’s hot on Ravelry. I also find inspiration in balls of yarn or something that I see someone wearing on the street. Of course, some of the best places to find inspiration are at retreats and conventions like Knitter’s Review Retreat, Sock Summit, and Interweave Knitting Lab. · Do you have any advise for up and coming designers, like myself? Don’t give up. With the internet and Ravelry, you can put your designs where they will be seen by millions of people. If you love what you do and do it well, you’ll be successful. My thanks to Ann for taking the time to answer a few questions here on my humble blog. She was very kind, generous with her time, and supportive of a fellow crafter :) If you haven't already, go check out Ann's blog at www.annbuddknits.blogspot.com.